This is a miniature painting, 4 x 6 inches, framed, that sold recently. I will be posting several of these on my etsy site soon. They are so much fun to paint and it's interesting to see what you can create on such a small surface. 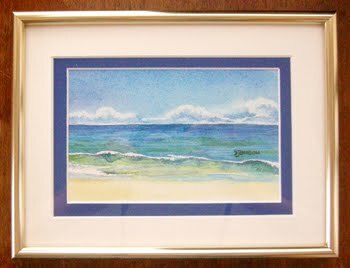 The frame is 4x6, so the painting is even smaller!